When we first traveled to Barcelona, in 2006, I felt entirely intimidated by just entering into a tapas bar. I knew some of the basics about what to order at a tapas restaurant in the US. But a tapas restaurant in Barcelona – well, I didn’t know where to begin. I didn’t know the types of tapas in Barcelona, or how to order tapas in Barcelona. Since that time, we’ve traveled to Barcelona a ton of times. And, we live just up the road in Girona. Now, I feel pretty confident that we can tell any new traveler, or even experienced traveler, to Barcelona, what are the best tapas in Barcelona in our Barcelona Spain tapas guide. Spain, and in particular Barcelona (which is actually in Catalonia, a region of Spain), is one of my favorite places to eat. This is due in large part to the availability of Spanish tapas. I just love the concept of these small plates of Spanish food, which allow me not only to snack throughout the day but also to try many different dishes in one sitting. We ate a lot to come up with our list of the top 10 tapas in Barcelona. But what are tapas in Barcelona? So, what are tapas? The concept of tapas has evolved over the years. It once was the case that a tapa came free with a drink. It was a small morsel of food placed on a drink coaster, which was then placed on top of the drink, to keep the flies out. Oh, how times have changed. Although there are still areas of Spain where tapas are complimentary with the purchase of a drink this is much harder to find when it comes to Barcelona tapas bars. The same is true for tapas in Madrid. And, from simple morsels of food to complex tapas, it is now possible to find elaborate tapas bars, with truffles and other luxury ingredients to fancy up the concept of tapas. It’s also possible to find a Basque Country influence in Barcelona, with some of the best tapas bars in Barcelona offering something more like a pintxo. A San Sebastian pintxo is normally smaller than a traditional good tapas. It’s more like a bite and often served on a skewer. To me, San Sebastian has some of the best tapas in Spain, they’re just not called that. It’s possible to tell when a tapas bar in Barcelona specializes in pintxos, or pinchos, when they are lined up on the bar. Pick a plate, choose what you like, and pay per pintxo, based on the number of wooden skewers left on the plate. For me, though, the simple tapas in Barcelona remain my favorite. Costing as little as €2-3, and served alongside a €2 glass of cava, the Spanish sparkling wine, you can see why I enjoy eating in Spain so much. And, it’s impossible to travel to Barcelona without spending a few days learning how to eat tapas in Barcelona. So what are the best tapas to eat in Barcelona? These are certainly not the only tapas, but they are some of the dishes you are most like to see at a Spanish tapas bar in Barcelona. One of the most universal and widely known of the tapas in Barcelona, and throughout Spain. Patatas bravas are normally found at a tapas place in Barcelona. Patatas bravas is a plate of fried chunks of potatoes with bravas sauce. Bravas sauce generally includes a tangy tomato style sauce and a sauce that tastes almost like a garlicky mayonnaise. In fact, the white sauce is an aioli, made with garlic and olive oil. This is like tapas 101 and can be found on every tapas menu around the world. I try to stay away from these tapas because I feel that they are a little touristy, but they are the perfect tapa to fill up on or to soak up the beer or cava, which occasionally just needs to happen. But, sometimes, I just get a craving for patatas bravas, and they can be some of the best Spanish tapas. This particular plate of patatas bravas was thinner and more crispy than the usual order, perhaps because they are from the fancy tapas bar Bodega 1900. Read our review of one of the best tapas restaurants in Barcelona, Bodega 1900. Read Tripadvisor reviews of Bodega 1900, and their sister property Tickets. The bomba is a potato and ground beef croquette, topped with brava sauce, which most people are familiar with because of patatas bravas. This is a Barcelona specialty, and more specifically a Catalan specialty. There is a revolutionary story behind the dish, hence the name bomba, relating to the Spanish Civil War. This particular bomba was part of our Devour Barcelona Food Tour, meaning it was one of about twelve dishes of food we had that afternoon. Olives can be a divisive food item, and I know there are people out there who just scream “Just Say No to Olives!” I am not one of them. With so many different varieties, I could order a plate or two a day and not get tired. Besides, the vinegar and acidity of the olives makes them a perfect tapas in Barcelona, perfect to pair with a cold drink on a warm Barcelona afternoon. I was first introduced to boquerones by a friend at a vermouth bar in Madrid, when we spent an afternoon eating like locals in Madrid. At first, I was hesitant, considering the reputation of sardines and anchovies in the States. But these fresh, tiny little fish were soaked in olive oil, vinegar, some seasonings, and lemon, and they make a great bar snack. We tried two types of boquerones during this visit, including a fried version at Tapas 24 Barcelona. I like anything fried for sure, but I truly love the fresher variety, particularly when layered with thin slices of fresh garlic or tangy vinegar. For the Americans out there, don’t be afraid! Book a Barcelona Cooking Class to learn more about Catalan cuisine. Although there is no Museo del Jamon in Barcelona (a crying shame if you ask me), we were able to find plenty of plates of jamon, or cured ham, all over Barcelona. I am sure there are traditionalists that would say these larger plates of cured meat are not technically considered tapas, but I kind of don’t care. Jamon Serrano, and the more rare Jamon Iberico, are two of the many reasons why I was happy to move to Catalonia. All freshly sliced to order, I love seeing the look of pure delight on Eric’s face when they put a plate of cured meat in front of him. He is like a child Christmas morning. This is one particular dish which seems to be all over the place in Spain, but does not often find its way onto the menus at tapas bars outside of the country. It is too bad, because pimientos de padron are one of my favorites, and should be shared! They are simple, fried peppers, and although they generally are sweet, there can be a spicy one or two stuck in the pile. And, as much as I sound like a broken record, they make a great bar snack because they are often generously sprinkled with salt. It is almost like the Spanish pepper version of a plate of potato chips, making them one of the best tapas in Barcelona. This particular plate of cheese was at a little local’s bar, just around the corner from the apartment we rented in Barcelona. It was certainly a moment of living like locals in Barcelona, when we made a technical stop for some cheese and beer before taking a little siesta. Okay, I don’t know how many locals actually spend their afternoons doing that sort of thing, but I communicated in Spanish with the owner, so I at least felt like a local. But, along with jamon, a plate of cheese is a perfect snack at at tapas bar in Barcelona. This plate of albondigas, or meatballs, may look like a sloppy, splashy mess, but they were the perfect weekend breakfast food (that’s right, breakfast, with my glass of cava) at a counter at my favorite food market in Barcelona. Slathered in a tangy garlicky tomato sauce, they are eaten all day long. I am sure there is some fancy Spanish term for sausages like these, but this was a goto snack for Eric. He would see a giant vat of sausages in olive oil at one of the Barcelona tapas bars we frequented and before we could decide on anything else to eat, he pointed, ordered, and we found ourselves with a small dish of sausages in front of us. He was sneaky like that. A speciality in the region, pan con tomato can be found on many tapas menus, or really at almost any bar or restaurant in Barcelona. It is served with almost every meal, and even for breakfast. Generally day old bread is warmed, garlic is rubbed along the top, the bread is drizzled with olive oil, and the tomato rubbed as the final ingredient. It is a staple of the Catalan diet. For me, it is always a nice little treat, but we did not often order it because Eric does not like tomatoes. I think I offended many a server in Barcelona by declining their offer for pan con tomato. They were left in disbelief when I declined, but I generally was able to blame it on Eric, like any normal wife would do. Although I continue to struggle with when to eat in Spain, what I love about tapas in Barcelona is that it is easy to find them pretty much all day, every day. And, for that, I am thankful. What are the best tapas bars in Barcelona? I do love Bodega 1900, which I still think is one of the top tapas bars in Barcelona. But there are some more traditional places for the best tapas in Spain, including Bar Ramon and La Plata. What is a tapas bar? A traditional tapas bar is one that served beer and wine, along with a few tapas. Now it’s hard to answer the question “what is a tapas restaurant?” With Michelin Star tapas restaurants on the same block as traditional bars selling patatas bravas, it’s almost like every restaurant in Barcelona will offer some of these most popular tapas in Barcelona. What are some of the other best Spanish tapas? Some of the best tapas are seasonal, like grilled artichokes in the spring or fresh anchovies with tomato and onion. And, of course, the tortilla, a casserole of egg and potato. How many tapas should you order? 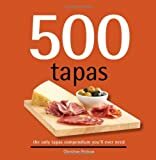 It’s hard to provide a guide to tapas without talking about quantity. Tapas vary in sizes, so it’s hard to answer the question “how to order tapas” when it comes to the number. But, it’s totally acceptable to only order 1 or 2 plates of tapas, and then move onto another bar for more. That way you can consistently be on the search for the best tapas in Spain. For more tips and stories on Spain, check out the With Husband In Tow Spain & Barcelona Food Travel Guide! Or, check out the Food Lovers Company Barcelona Food Tour. Yum! I love Barcelona, but I have to admit I love tapas even more. Heading to Spain twice in April…tapas here I come! If the choice will have food which look as good as this. It will be hard to choose which Tapas is the best. These beautiful looking and mouthwatering dishes really made me hungry! I’m jealous of knowing you’ve tasted all of them. And, the good thing is it is possible to taste so many tapas because the cost is much less than a full plate of food! Ciudad Condal Cerveceria has delicious tapas. I would definetly recommend it to anyone visiting Barcelona. Where is “CCC” located ? I’m sorry, what is CCC? Is that something I mentioned? You know how to pick ’em! Did you have much seafood besides boquerones? Pulpo (octopus) and calamari are also classic. Or gambas al ajillo… mmmmmm! We didn’t really, but the muscles are really good too!